We Are A Golfers Paradise! 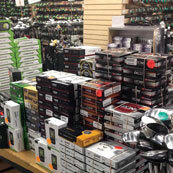 We specialize in selling, trading and buying demos, used & new golf equipment online and from our discount outlet in Hartford, CT. Our prices are much lower than full retail golf shops and our inventory is more extensive. This year, we have added 4 new hitting bays with launch monitors and a repair shop to re-shaft, re-grip and customize your clubs. We have always prided ourselves on providing Value Added Services for our customers. Before you make the trip into our store - you can preview our complete list of inventory from this site and determine whether we currently have what you are looking for. But check often, because we update our list of inventory daily. 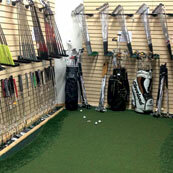 OVER 50,000 USED, DEMOS AND SOME NEW GOLF CLUBS AT THE LOWEST PRICES! 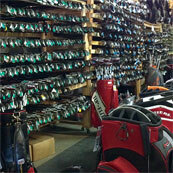 Plus, Golf bags, shafts, heads, grips, clothing, balls, carts, gloves, shoes, hats, headcovers, fitting cart components and much more! 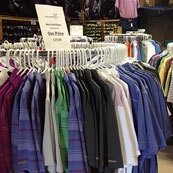 We are a one stop shopping venue for everything golf! To see a detailed map with directions.